Contact us to begin discussions on how your project may qualify for incentives. The following are basic descriptions of the regions incentive programs. Our team is happy to arrange a meeting with the West Virginia Development Office (WVDO) and your team to explore potential tax incentives. These incentives are explained in more detail below. The Parkersburg-Wood County Area Development Corporation’s tax-exempt status can be deployed to help developers and companies control costs of constructing a new building through a sales tax exemption on the purchase of project construction materials. As such, the Development Corporation’s ownership of the asset is a condition of using this incentive. For a sizeable project, this financing structure can reduce construction costs dramatically. Email Lindsey for more information! A PILOT program provides payments to counties and other local governments to offset losses in tax revenues due to the presence of tax-exempt land in their jurisdictions. Email Lindsey for more information! The Mid-Ohio Valley Regional Council (MOVRC) offers loans that range from $2,000-$250,000 that can be used for any business need including: business expansion, working capital, new construction, new equipment and much more. These loans can fund up to 75% of a project but cannot be used to refinance existing debt. To fill out an application, click here. State law allows for the negotiation of a TIF incentive to redirect property taxes paid on improvements to a property or properties to be redistributed towards paying for a public infrastructure improvement made by a community or a private developer. The purpose of this program is to encourage the new construction and rehabilitation or revitalization of existing multi-family dwellings in the City of Parkersburg. The tax credit may only be taken when an otherwise qualifying business files the required business and occupation tax return on or before the required due date. If said return is not filed timely then the credit will be disallowed for the time period in which the return is delinquent. The maximum credit allowed shall not exceed the total cost of the capital investment made in the construction, rehabilitation, revitalization or modernization of the multi-family dwelling. The purpose of this program is to encourage the rehabilitation, revitalization, re-occupancy and use of vacant residential, commercial, and industrial buildings in the City of Parkersburg. A qualifying business will be permitted a tax credit up to one hundred percent (100%) of its business and occupation tax liability annually for a period of five (5) consecutive years from and after such capital improvement is placed into service or the building is occupied, whichever first occurs. The tax credit shall not exceed the total cost of its actual expended capital investment on the building renovation. The first few years of operation are critical to a new business’s long-term success. This program was created to assist new business development, by reducing Business & Occupations Taxes paid to the City during this time. To be eligible, a new business must be located in the City of Parkersburg, create at least five (5) full-time jobs (or equivalent) and maintain those jobs for at least four (4) years. The City of Parkersburg recognizes that businesses and developers have a choice in terms of where they locate. To encourage more investors to locate their project and/or business in the community, the City makes available a tax rebate application to newly annexed developments. Upon certification from the City Engineer that all work to be performed has been completed to City specifications, 100 percent of the taxes collected on construction activity within the newly annexed development, including taxes paid by prime and subcontractors, shall be rebated to the developer. For more information regarding the City of Parkersburg’s Economic Development Incentive Programs, please call 304-424-8415 or email Rickie Yeager, City of Parkersburg Development Director . We love to help businesses grow. It's what we do. It's all we think about and it is the very reason our organization exists. 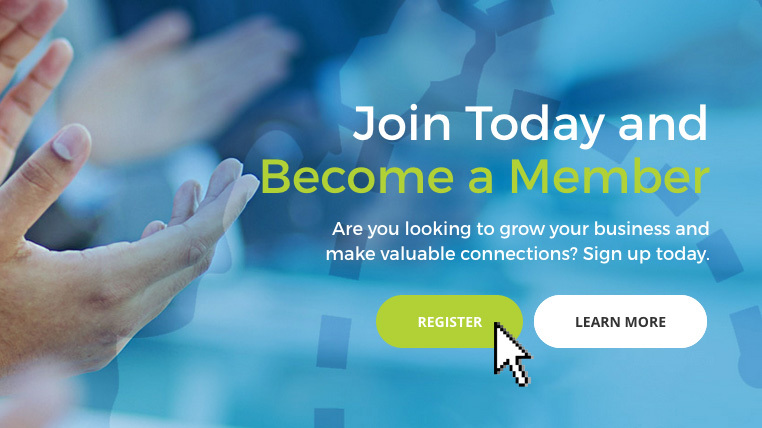 If you would like to learn more and register, please read the details on our membership page and fill out our registration form. We are looking forward to working with you. Copyright © 2018 Wood County Economic Development. All rights reserved.